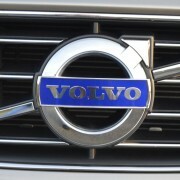 When Geely, the Indian automaker, took Volvo off Ford’s hands several years ago, many fans of the Swedish marque wondered what the future might hold in store for this revered, safety conscious label. 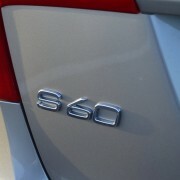 Well, the future is here now in the form of the Volvo Inscription S60, a special lengthened version of the S60 sedan. 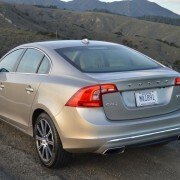 At 185.6 inches in length, it stands 3.5 inches longer than the base model S60 four door. 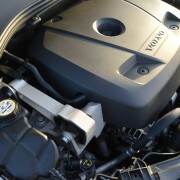 The Inscription is the first Volvo built in Chengdu, China, of parts that are 60 percent Chinese and 10 percent Japanese. 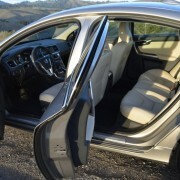 This luxurious and expensive ($45,925) sedan carries a turbocharged 2.0 liter engine also built in China. 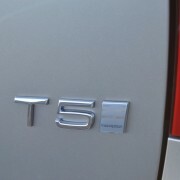 Its 8-speed automatic transmission comes from Japan. 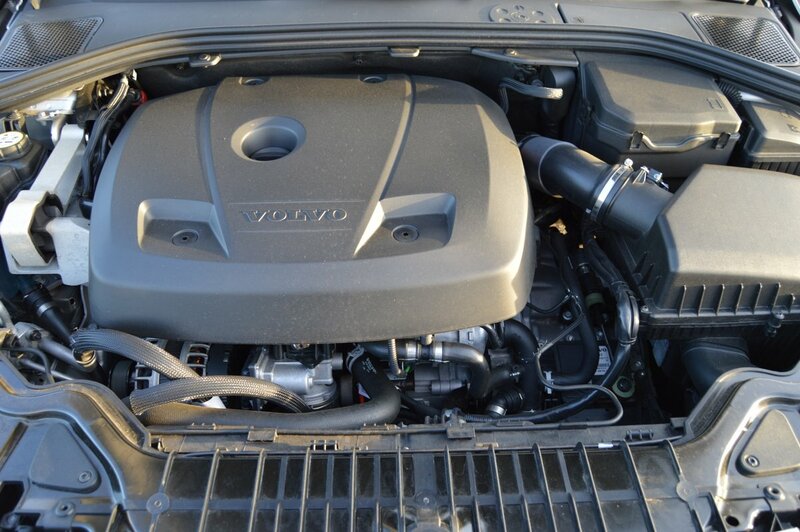 In view of this disparate sourcing of parts, just how much Volvo DNA remains? Thankfully, quite a bit. 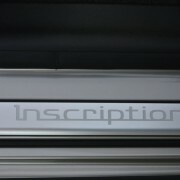 For starters, the Inscription has so many available safety features that its Swedish reputation for precaution remains strong. For example, “City Safety” – a low speed collision avoidance system – is standard issue on this car. 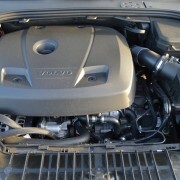 Even the engine cover is made of dense, pliable foam. 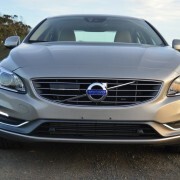 If you order the “Platinum” group of accessories ($3,000 extra), Volvo includes a “Technology Package” which provides collision warning with full auto brake, as well as pedestrian/cyclist detection with full auto brake. In a world replete with drivers more intent on reading their handheld devices than the road ahead, these safety features greatly improve your chances of accident avoidance. Some of the other features of the Platinum group, however, are more annoying than useful. 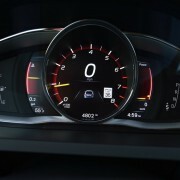 For example, the Lane Keeping Aid is helpful in the sense that warning lights on your exterior rearview mirrors illuminate when hidden traffic pulls alongside. But the same system goes overboard when you change lanes without using your blinker, something I prefer to do with no traffic nearby. 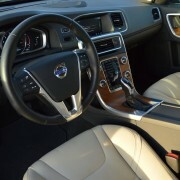 Under these circumstances, the Volvo’s steering goes artificially light and the steering wheel itself wobbles gently in your palms. The feedback is similar to having your front tires aquaplane in heavy rain. It’s completely distracting and unnecessary, and thankfully Volvo provides a switch to delete this lane change punishment. 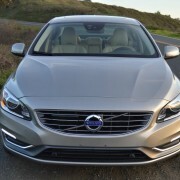 Although Volvo offers a number of more powerful engines in the S60 range (250hp inline 5, 302hp turbo inline 4, 345hp turbo inline 6), our test Inscription made do with the adequate but unexciting 2.0 liter turbo inline 4, which returns the best fuel consumption of the bunch at 29 MPG overall. The 8 speed gearbox compensates nicely for the underwhelming output of the 240hp motor by allowing you to stage your passing needs by selecting an appropriate gear before stomping the accelerator. You’ll need to plan ahead with this package for your acceleration requirements, because the engine must spool to 5600rpm for maximum thrust. Luckily, the 3,610 lb. 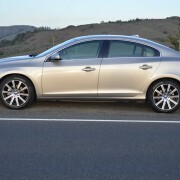 sedan makes peak torque of 258lb.-ft. at just 1500rpm, so launch from a dead stop is decent. 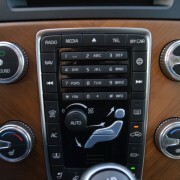 Volvo has incorporated an automatic start/stop system, ostensibly to save fuel while idling at traffic lights. 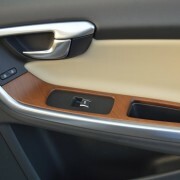 This device shakes the whole car every time it re-fires the ignition. 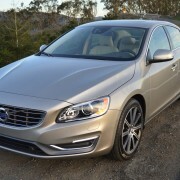 Although you can delete it, you have to do so every time you re-start the Volvo. It’s a design that should never have made production. 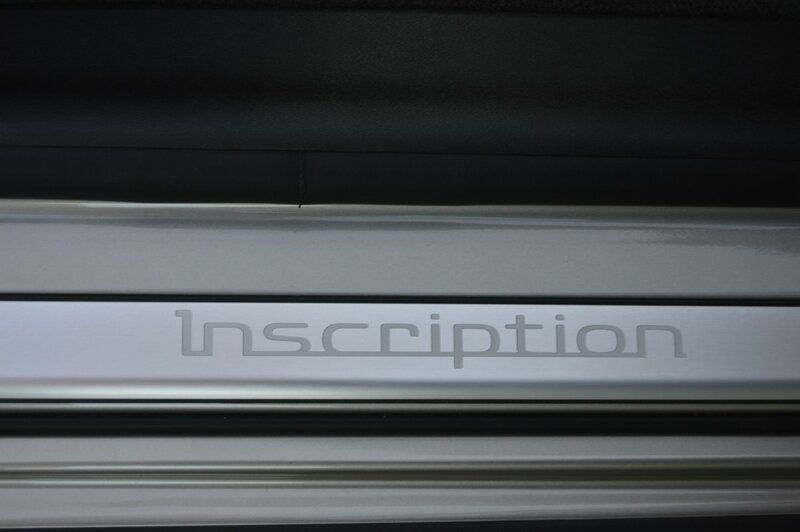 Inside the cabin, the Inscription will win over drivers accustomed to Audi/BMW levels of design simplicity and sophistication. 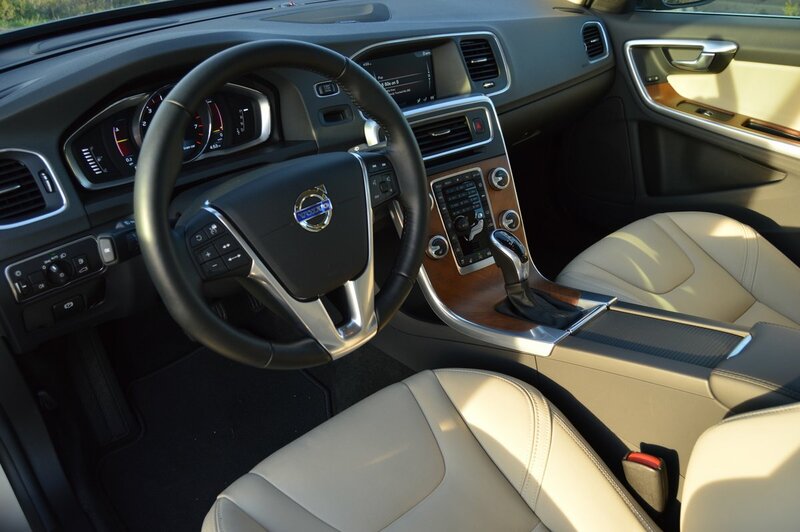 The front seats are heated, but if you want heated rears plus a toasty steering wheel, you’ll need to pop $1,300 extra for the “Climate Package.” Lavish expanses of matte finished, open pore barn wood lend a country inn felicity to the Inscription’s interior environment. Glass area is immense, a bonus that leads to excellent vision in all directions. 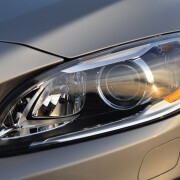 Such niceties as Park Assist and rain-sensing wipers come standard. The Platinum group includes a nifty grocery bag holder which flips up from the trunk floor to act as an anti-slide partition. I used it to keep a storage box from roaming the trunk on a twisty section of road. 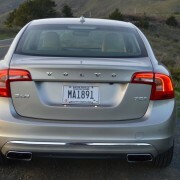 Speaking of the twisties, the S60 is not particularly well acclimated to such driving usage. 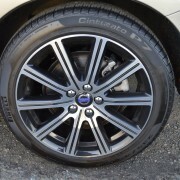 Granted, it rolls on 18 inch alloy rims bearing 235/45R18 Pirelli Cinturato P7 tires that uphold their end of the contact patch bargain. 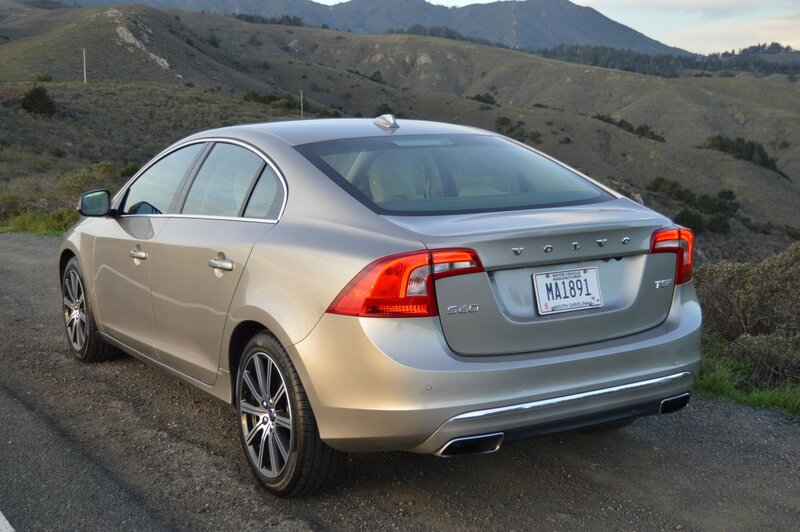 But the S60′s suspension is calibrated for comfort over handling, so the Inscription tends to bottom its shocks over mild depressions. Push it hard enough and the suspension hikes itself into the air as you try to make quick transitions on a curvy road. 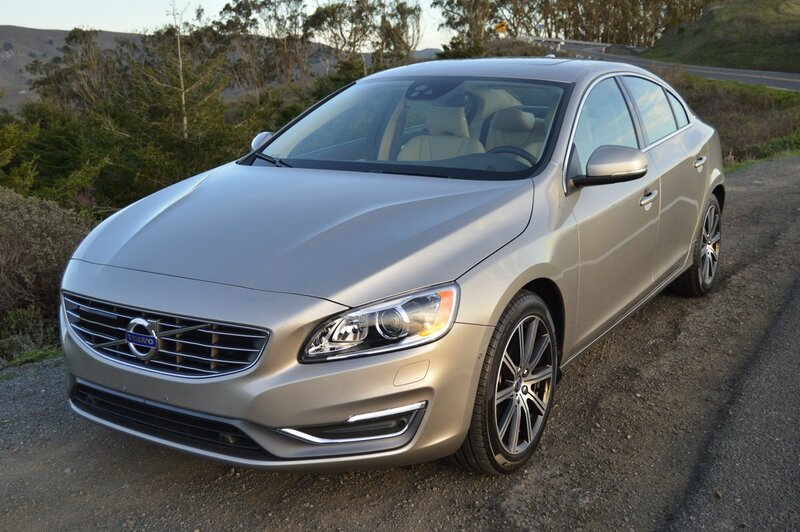 This Volvo offers a great freeway ride, but you won’t be blowing off any BMWs or Audis on the back roads. 2009 Mercury Mariner Review - the Hybrid SUV that can (and does) impress!